In today’s lifestyles we all seem to have a lot of stuff. We accumulate so many things throughout our lifetimes and it seems that storage ideas and space are always at the forefront of our mind when looking at new homes, or simply organising the ones we live in. Many people can be deceived by the belief that the bigger the home the better the storage, but this can often be a misconception. I have had many friends who have moved from smaller homes that they have outgrown, with the dream of having more space to store things in their now larger home, only to find once they begin unpacking they actually haven’t gained that much more or actually have less. he thing I love about baskets is that you can still keep things you use every day at your fingertips, but they are simply hidden away from sight. 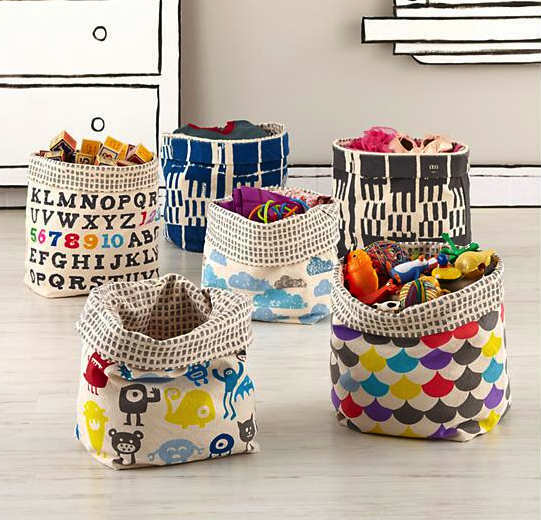 They are perfect when you live in a small house with limited space (like me) or if you have a busy toddler who loves exploring (also like me…but I can’t say the basket stops them, but it does slow them down)! 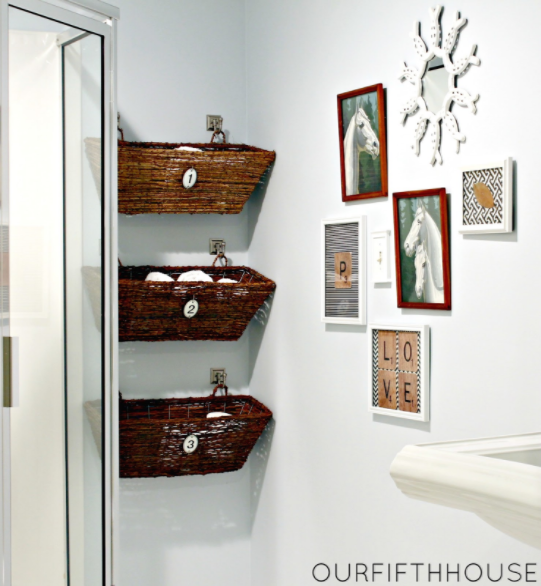 Below I have found some great ideas, that show how you might be able to incorporate a basket (or maybe 2) into your living space. Feel free to share any photos or ideas you might be using in your homes to inspire some of our readers. What a great use of window planter boxes. This is such a perfect idea for an aesthetically pleasing way of storing bathroom essentials such as toilet paper, extra towels etc. You could also utilise this idea in the kitchen for storing vegetables, or in the kids rooms for toys, books, balls etc. Fruit baskets! A great space saver, if you don’t have room on your walls or in your cupboards. This would have to be every parents dream wall!! 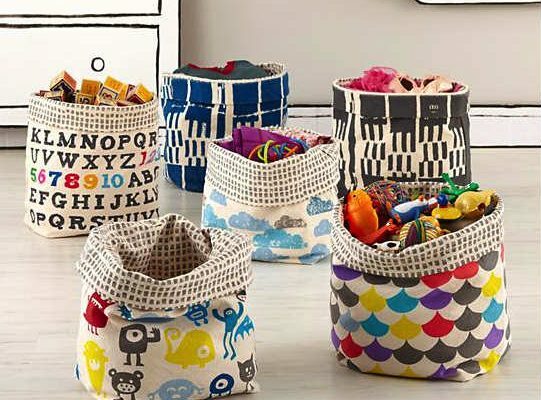 Using these metal baskets enables you to hide away all the little toys that having children seem to accumulate, when they are not in use of course! If you live in a 2 story house, you would soon become tired of taking things up and down the stairs multiple times each day. 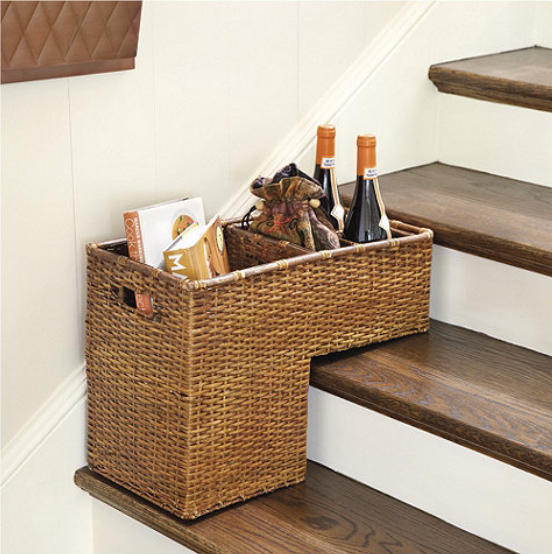 Why not try having a basket at the end of the stairs, fill it up and throughout the day and take it up only when you are heading upstairs. This is a great way to store books and papers, when you may not have space or desire for a bookshelf. It is neat and looks organised. 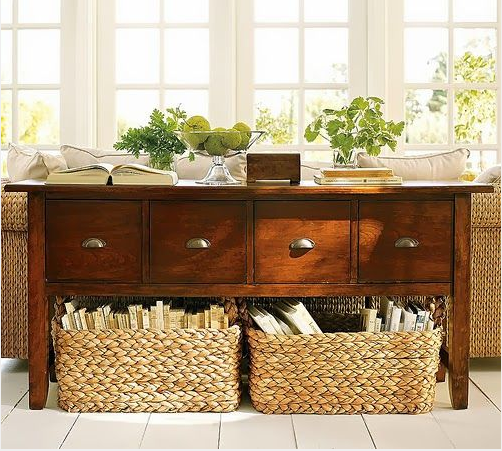 You could also do this under your coffee table if you have a shelf area, filled with newspapers and magazines. 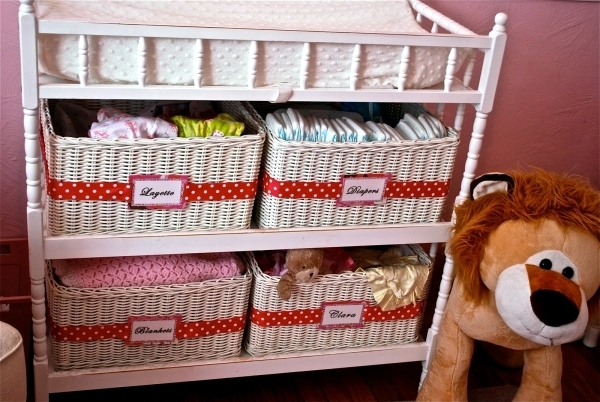 It also enables easy access for dusting and cleaning, as all you need to do is move the basket out and slide it back. 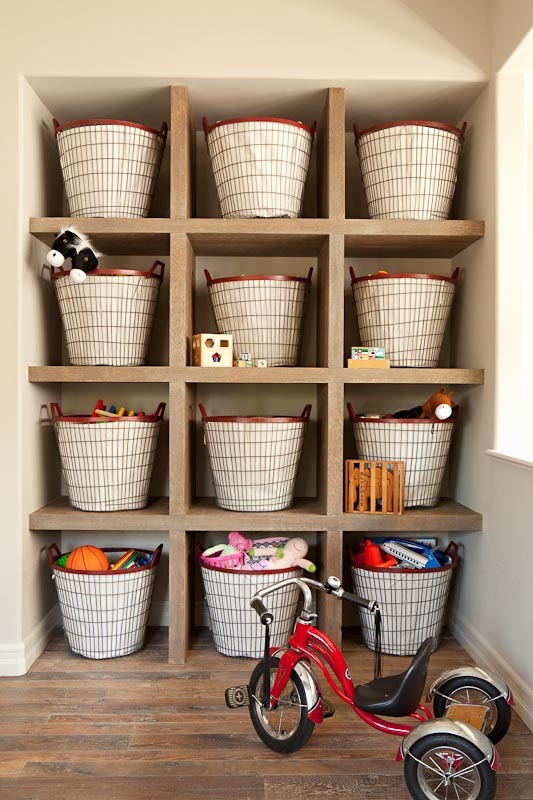 Add a basket to the entrance of your home to create a much more inviting and tidy welcome. Because no one wants to look at a pile of shoes! 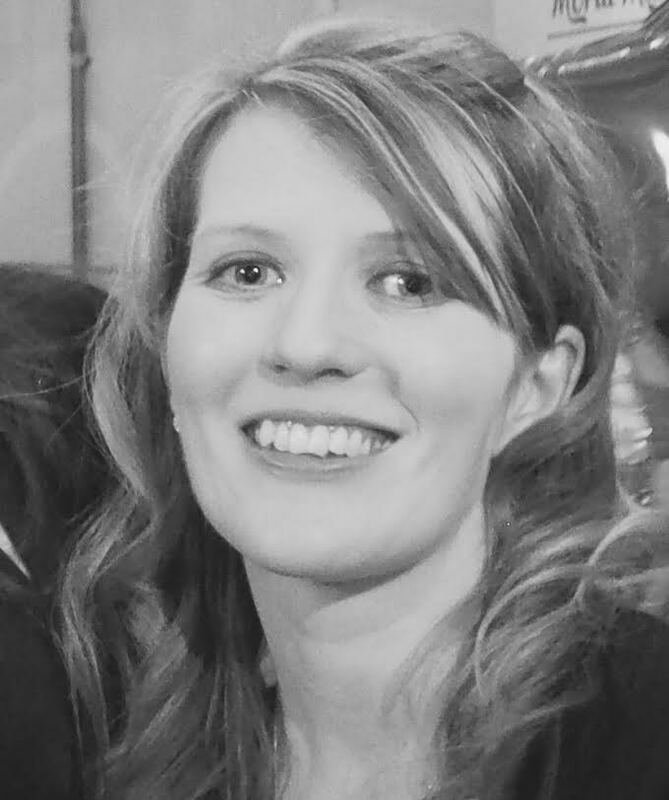 When you have a baby, and undertake multiple nappy changes every day, you need things within reach! Having baskets keeps everything organised, helps you find what you need quickly and hopefully avoids the need to restock items regularly! Add a little bit of colour and interest for children through storing those little things. These would be great for stuffed toys, cars, blocks, or any of those little things that always need a home etc.